The UNCW College of Arts and Sciences is hosting the Sherman Emerging Scholar Lecture Series and Dean’s Lecture Series in the Humanities on Oct. 17 and Oct. 18, respectively. 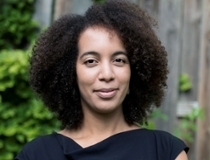 Farah Peterson, a legal historian who focuses on statutory interpretation and an associate professor at the University of Virginia School of Law, will deliver the 2018 Sherman Lecture, “Monuments and Memory: How the Law Writes American History.” The lecture begins at 7:30 p.m. Oct. 17 in the Warwick Center. The Sherman Lecture will examine how American history is written into American law. Yet the law also writes our history. When a judge on the Supreme Court writes a consequential opinion, that opinion often rests on a story about who we are as a people, as American citizens. Legal opinions thus stand as public memorials to a shared past. Peterson holds a Ph.D. in American history from Princeton University. She earned her bachelor’s degree in history and J.D. from Yale University. After law school, Peterson clerked for Associate Justice Stephen Breyer at the U.S. Supreme Court and Judge Guido Calabresi at the U.S. Court of Appeals for the Second Circuit. She is currently working on a book, The Most Dangerous Branch: Law and Legislation in Republican America, based on her doctoral dissertation. In addition, the Department of History will present a panel discussion on Oct. 18 featuring renowned scholars and legal professionals, who will provide a commentary on the themes raised in Dr. Peterson’s lecture and raise additional points from their own unique perspectives. The panel discussion will begin at 3:30 p.m. in the Osher Lifelong Learning Institute (620 S. College Road). UNCW students and faculty are welcome to attend. Registration is required. 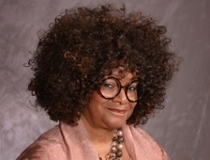 The Dean’s Lecture Series in the Humanities will host Jaki Shelton Green on Oct. 18, the first African American and third woman to receive the honor of the poet laureate title. In 2003, she received the North Carolina Award for Literature, the state’s highest civilian honor for significant contributions to the state and nation in fine art, literature, public service and science. She was inducted into the state’s Literary Hall of Fame in 2014 and was named the first Piedmont Laureate in 2009. Green, who teaches documentary poetry at Duke University’s Center for Documentary Studies, has been active in North Carolina’s literary and teaching community for more than 40 years. She has penned eight books of poetry, co-edited two poetry anthologies and written one play. She is also the owner of SistaWRITE, an organization that provides writing retreats and travel excursions for women writers. Registration is not required.